Working with leather and other materials I create many things. If you have a need or idea of something special, e-mail me or give me a call. A leather Top Hat for high wire walker Philippe Petit, a strange full-headed mask for a private client, a doctor's black plague mask for Patch Adams, pig snout mask for a private client, custom mask for international magician Jeff McBride, and a mask for the cover of the book for best-selling author Jeffery Deaver, face of an important Rabbi made from photo's, The Vanished Man. collected many dollars in that hat. 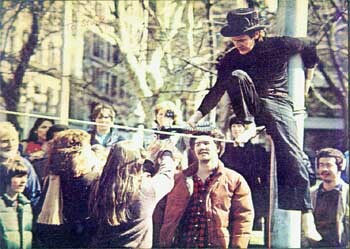 buildings on the high-wire in the 70's. 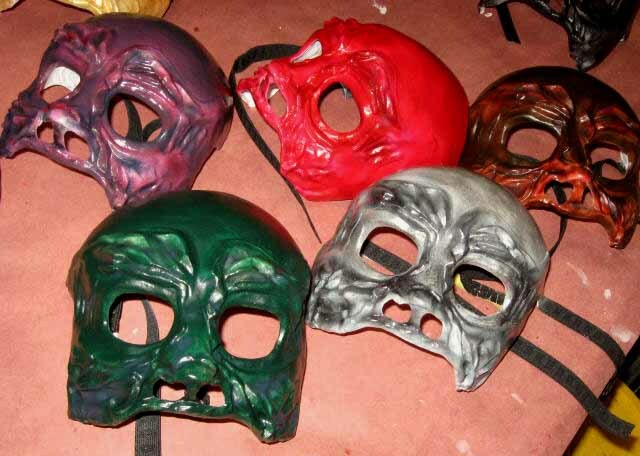 I tried making them out of cardboard, papier-mâché, celastic, even fiberglass, until I decided that leather was the solution. 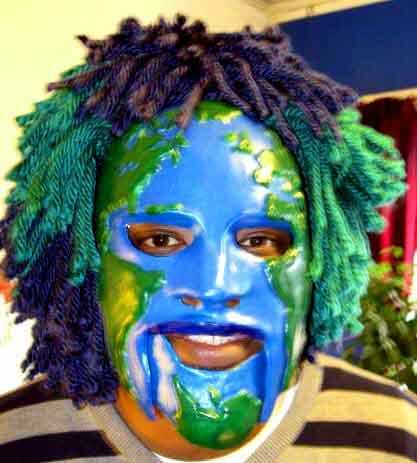 This environmental education custom made planet earth mask is neoprene latex with a free-floating movable jaw. The custom made wig and wig weaving cap is made of yarn, is removable and washable. Being able to clean yarn costumes in very important after long days of performing. The yarn continues the continents in green yarn and oceans in blue yarn. Have a question about a unique project, contact me. Making and designing this hat was a 6-month project. I first made a small test hat shown to the right. Then I sculpted and made the master mold and created Philippe's top hat. The weight of leather is about that of good belt leather. Philippe told me he could spin the hat on his finger forever because of its balance and weight. 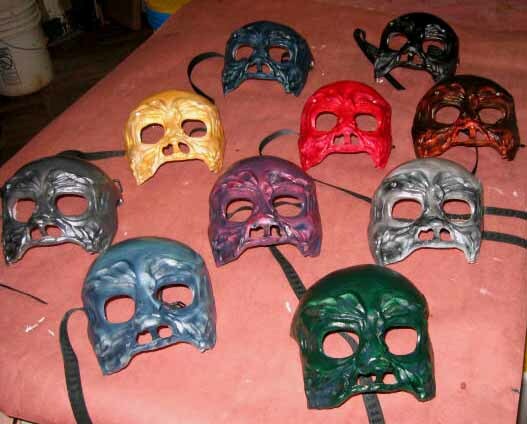 These types of masks I usually do not make. But I created this mask for the book cover. They were looking all over the world for an off-the-shelf mask and could not find it. 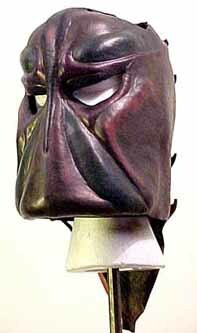 They ended up commissioning me for this one-of-a-kind mask. Getting all those shapes just in the right place to work together and give the right feeling was a fun challenge. 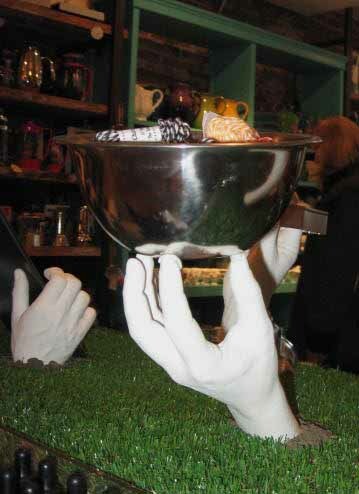 Halloween fun and funny display at the kitchen store Whisk in NYC. 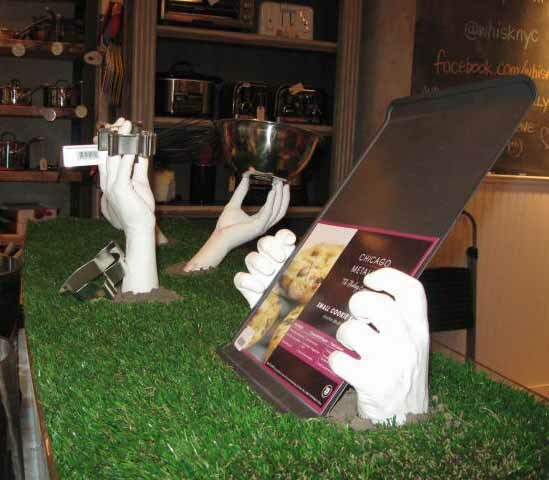 This display was designed and created by Billy Schultz. Marina Tsaplina is the hand model. Both Billy and Marina are also performers and artists based in New York City. Marina hands and arms were cast in a negative mold in position holding various cookie making kitchen tools. 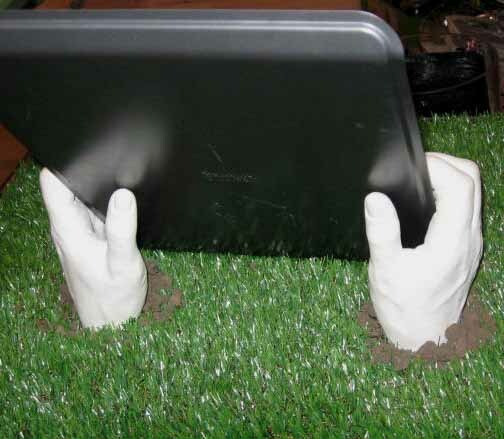 Then the positive casts were created for the display. Billy then put everything together. Need to put something special together, if you think I can help please contact me. 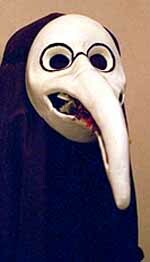 The world famous and funny healer, Patch Adams, MD called me one day and ordered a doctor's mask similar to the masks they wore during the black plague of Europe in the 1500's and 1600's. 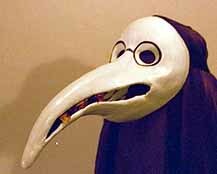 Sometimes called a death mask. The nose of the mask is stuffed with flowers to filter out the smell of the dead. Patch Adams tours the world brings healing through laughter. I highly suggest you go to his wonderful web site and learn what great healing is. You can also learn about participating in his clowning, healing adventures and supporting his work. talking over the phone. 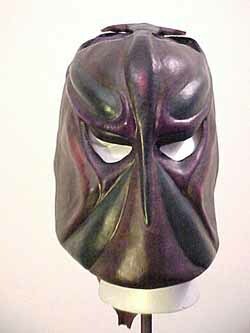 This mask, as you see, covers the full head. 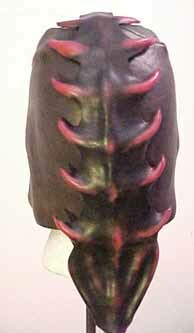 The front was sculpted and the back and sides were done freehand. 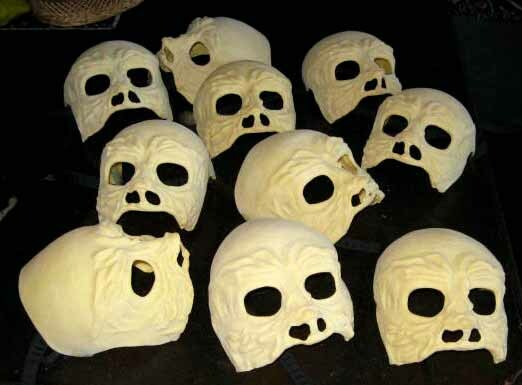 This skull mask design was created originally for Opera. These 10 were created for Mosqidou Walsh Fashion & Music show. Below you see raw unfinished and finished. This mask I sculpted from photographs of a very religious groups late Rabbi. 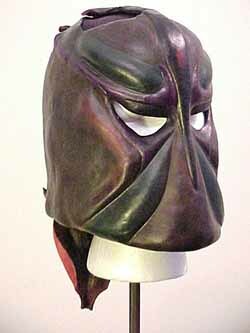 This is a neoprene mask that was a very quick job and finished this year. Outlandish, strange, difficult, wonderful, historic, imaginative things to create are my specialty. If you have an idea or the need for something special, give me a call or send me an e-mail and I will see if I can help you out. Copyright © 1976-2017 Stanley Allan Sherman. All rights reserved.